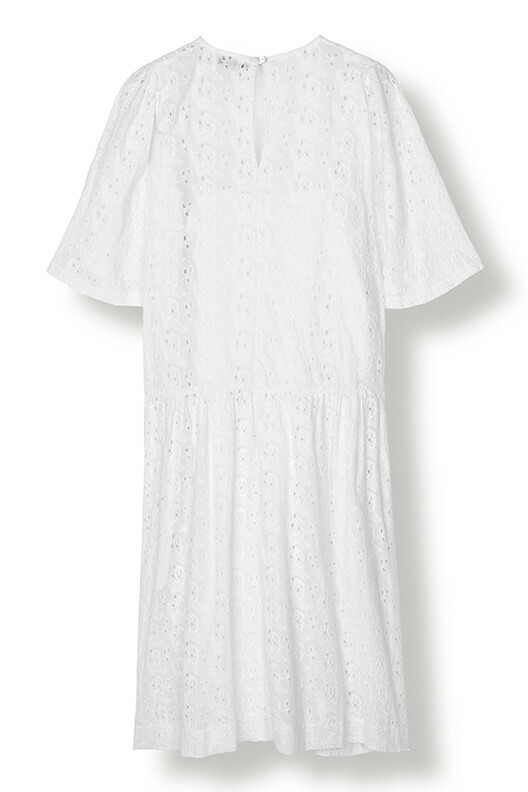 Lovely Broderie Anglaise dress with a low waist cutline and a-line skirt. 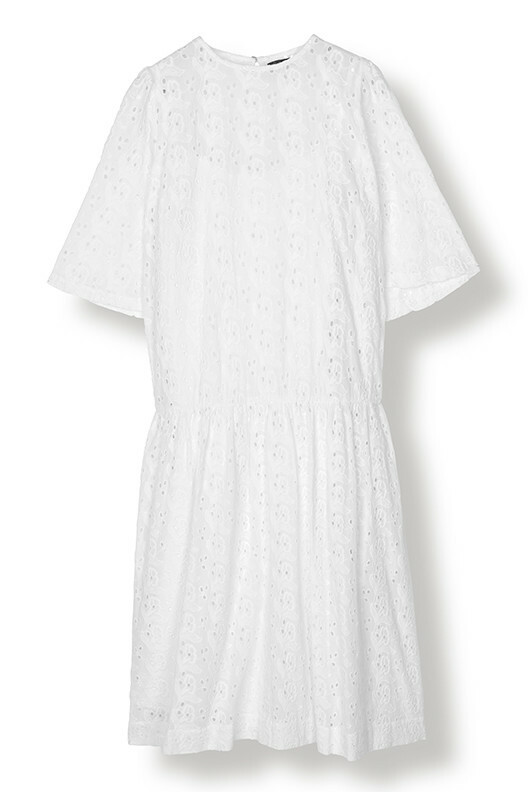 The dress has short sleeves, a round neckline and a slit with a hook and eye closure at the back. The dress comes with an underlayer dress that attaches to the main dress with push button straps.